(Acrobat) 28 Tracks - 1936-1956! 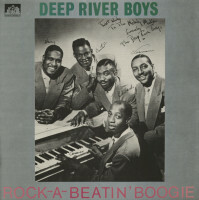 The meager chart fortunes of The Deep River Boys—one 1948 pop appearance—doesn't do the enduring quartet justice. 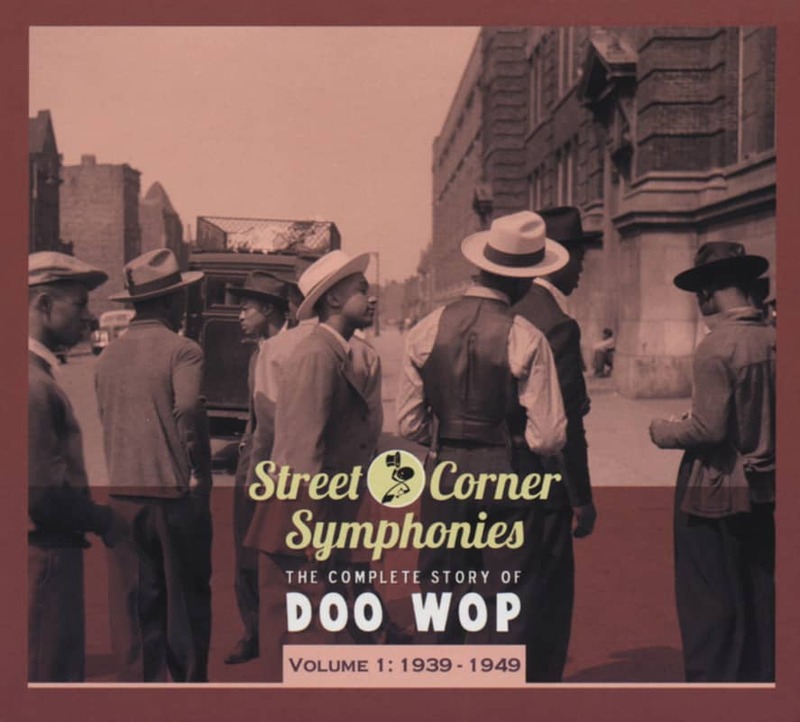 They were stars of '40s radio and soundies, boasting a bountiful discography. They came together at Virginia's Hampton Institute in 1936. Baritone Harry Douglass, born May 6, 1916 in Bridgeville, Delaware, joined bass Edward Ware and tenors Vernon Gardner and George Lawson to perform spirituals as The Hampton Institute Junior Quartet. They won on an episode of radio's 'Major Bowes' Amateur Hour,' then got a boost from working for theatrical producer Josh Logan. Black actor Rex Ingram brought them on a promotional tour for him movie 'The Green Pastures' and came up with a new name for the group reflecting one of their most popular songs: Deep River. But the quartet had to add some secular material to their repertoire before CBS radio brought them aboard their network airwaves. 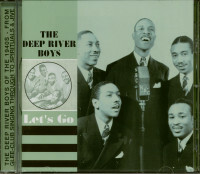 Debuting on shellac in 1940 with their RCA Victor rendering of Nothing But You, The Deep River Boys recorded seven releases for RCA and its Bluebird subsidiary before World War II intervened. They also filmed the memorable soundies 'Toot That Trumpet' and 'Shadrack,' which they didn't record commercially. Douglass was forced to leave the ranks during the war to perform for the troops, but he was back in 1946 when the group got back down to recording business with Victor. The Deep River Boys finally registered a hit for RCA Victor in 1948 with their sumptuous treatment of Recess In Heaven, which climbed to #18 pop despite a version by ex-Jimmie Lunceford singer Dan Grissom that was a #8 R&B seller. 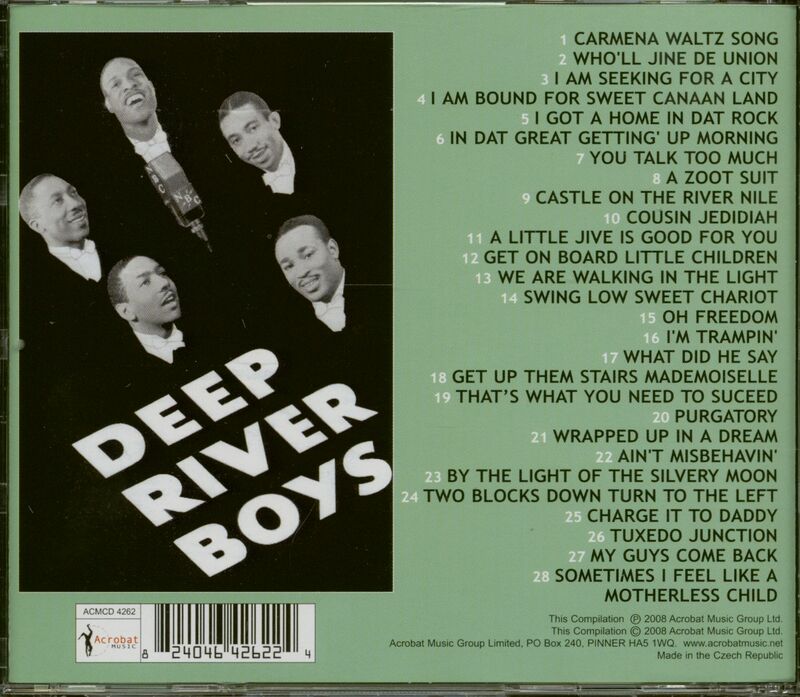 On the flip side of The Deep River Boys' version sat a cover of The Orioles' It's Too Soon To Know. The group encountered a wildly appreciative fan base when they ventured overseas in 1949, leading to many European trips during the '50s. 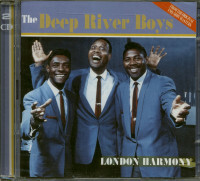 While they continued to record pop titles for Victor, Beacon, Jay-Dee, and Vik stateside, The Deep River Boys rocked out for their British fans, cutting Rock Around The Clock and Whole Lot Of Shakin' Going On and notching a British hit in '56 with That's Right. Douglass remained the quartet's mainstay, but there were a plethora of personnel changes over the course of the decade, Jimmy Lundy replacing Lawson at the dawn of the '50s. The Deep River Boys sang for President Eisenhower in 1955. Douglass died June 5, 1999 in New York. His group's time had long passed, but he sang right up until his death. Customer evaluation for "Let's Go (CD)"